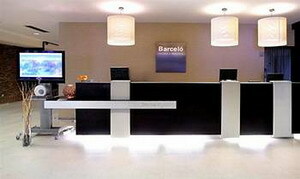 The Barcelo Costa Vasca is a modernist complex in Ondarreta's residential zone, metres from the beach, 100 metres from Miramar Palace and two kilometres from the city of San Sebastian. Miramar Palace, Aiete Palace and La Concha Bay are all within 500 metres of the hotel, while Mount Igueldo and the Aquarium are one kilometre away. 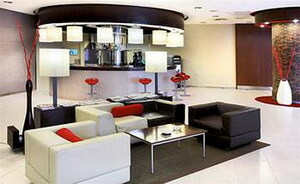 Bilbao Airport is one hour by car, 100 kilometres (64 miles) from the hotel. 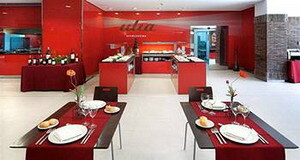 The Ulía Restaurant serves traditional Basque and international cuisine and an array of wines. Outdoor dining on the terrace is offered during the summer season. The relaxed Txokoa Cafeteria serves continental breakfast, sandwiches, snacks and beverages, while cocktails and drinks are offered in the English-style ambience of the Lobby Bar. Guests can enjoy a revitalizing dip in the outdoor swimming pool, surrounded by sunbathing terraces and private gardens, stroll on the nearby beach, and practice their serve on the tennis court. 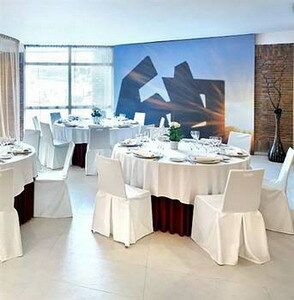 The hotel offers 12 meeting rooms and events can be organised by the hotel's multilingual staff. 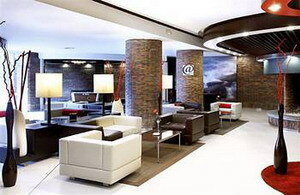 Laptops can be connected to the Internet, while other practical amenities include concierge services, dry cleaning services, laundry facilities, currency exchange, room service and parking for those arriving by car. 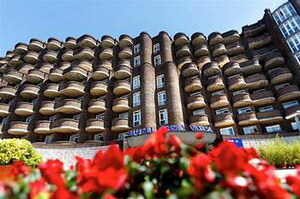 This nine-storey hotel features 203 air-conditioned guestrooms, all of which include satellite television and wireless Internet access. 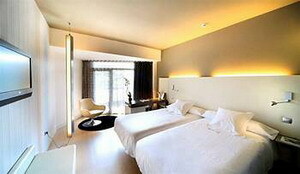 All rooms offer safes and minibars. Bathrooms have hair dryers, and showers or tubs. Some rooms feature terraces.